Goggles have come a long way from the humble Oakley o-frame that graced the gearbag’s of anyone who threw a leg over a dirt bike in late 90s and early 00s. 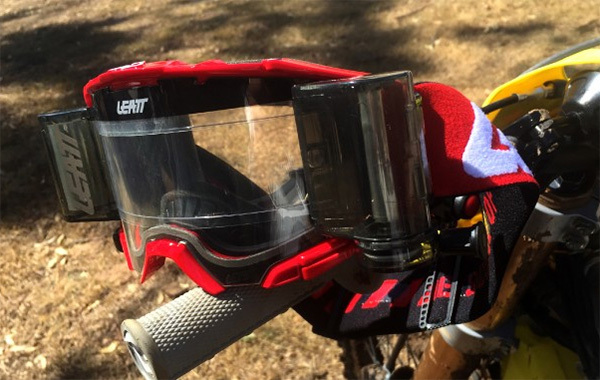 One of the leading manufacturer’s of protective equipment Leatt have recently entered the goggle market and we were lucky enough to get our hands on these new units prior to there release date. Now, we do have to let on that we were aware of these units in October last year. Whilst in the USA for the Monster Energy Cup, we ran into Leatt supported rider Cole Martinez at Milestone raceway who actually gave us a run-down on the then prototype units that he had been using. Immediately impressed with the outrigger design, easily interchangeable lens and high quality face foam, we were excited to get our hands on a set. One thing that you notice as you pick the goggles up is the large anti slip surface that graces the inside of the strap. Not only does this ensure your goggles stay in place throughout a ride, it actually makes it quite easy to get the fit on your helmet. 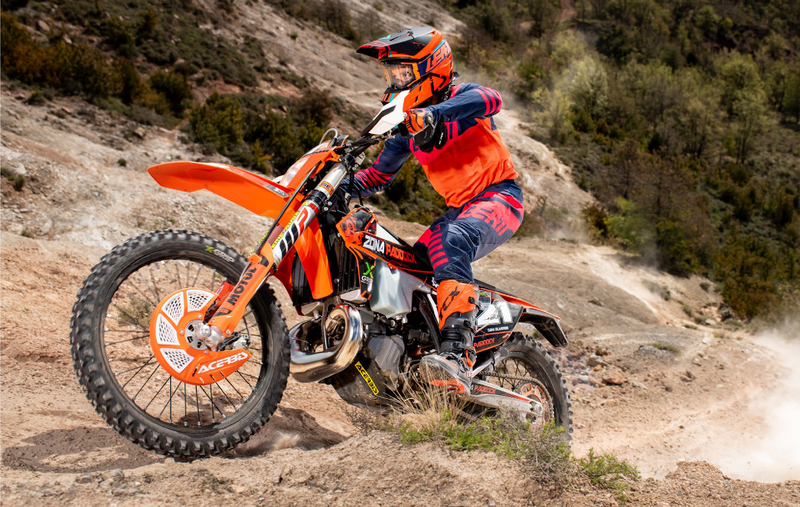 Preferring a looser feeling on the face when we ride, the strap was adjusted about ¼ from full length on an Arai VX pro 4 helmet and left us feeling immediately comfortable. We have been wearing these goggles in a variety of conditions and even been commuting to work in them, for the most part, the goggles provide great ventilation, however on those wet mornings into the office, we did have a few instances where we found ourselves lifting the base of the goggles at lights and intersections. It should be noted that we are not aware of another pair of goggles that wont fog up in these conditions, and the Leatt units outperform most. Whilst the foam feels comfortable and is of the highest quality, we noticed that after a long ride or on a hot day, that the foam is not as absorbent as it could be. This didn’t present any real issue other than noticeably wet goggles that needed a quick dry between motos. Both the Roll-Off and Standard models come with a detachable nose guard, and while we are fans of this, it will only fit on certain helmets with a longer chin bar. As we have been wearing an Arai of late, we actually had to remove the nose guard from both the helmet and the goggles to achieve a fit that didn’t foul up at all. 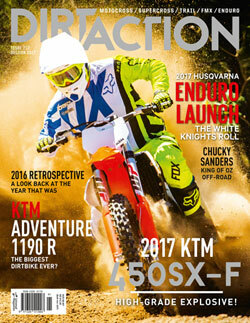 Given that the majority of racetracks in Australia now won’t let you use tear-offs, the Roll-Off units have been receiving a lot more use from us here at Dirt Action. They are easy to set up and although when new, the plastic cases can be a little stiff to open/close we have had no issues with the roll-off system malfunctioning at any stage. What we are very impressed with is the viewport of the goggles, its large and hardly noticeable in your peripherals which is complimented by a wide roll off band. With a few washes under the belt, the GPX 6.5’s are holding up extremely well and there are no signs of deteriorating foam or that dreaded wavy strap. 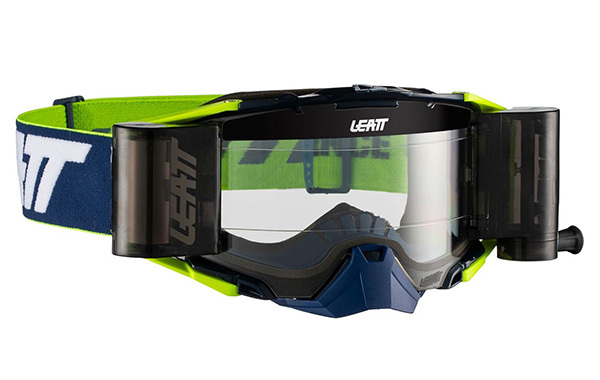 It should be noted that we are overly impressed with Leatt’s first goggle offering and are looking forward to putting a few more hours on them. The GPX 6.5 Goggle Range is available in three variants and RRP starts at $139.95 for a pair. Head down to your local dealer and get your hands on a set as they are well worth the money!